Aladdin in movie is better looking o in series? Did they ever make a secondo Aladdin movie? If so, what is it called? Production begins in India this mese on the Aladdin 3477 movie, before moving on to numerous exotic locales throughout Southern Asia. Loosely adapted from the classic Arabian Nights tale, Aladdin and His Wonderful Lamp, this live-action version is set 1,500 years into the future. The movie is directed da stella, star Wars artist Matt Busch and is produced da Kaleidoscope Koi Entertainment, LLC. DETROIT, MI -- On his 40th birthday, Artist/Director Matt Busch announced candidly on his YouTube channel he will be Scrivere and directing a feature-length live-action movie titled Aladdin 3477. Loosely adapted from the Arabian Nights classic tale, Aladdin and His Wonderful Lamp, this version is set 1,500 years into the future. The movie will be produced da Kaleidoscope Koi Entertainment and filming in locations around the world. I fell in Amore last night. 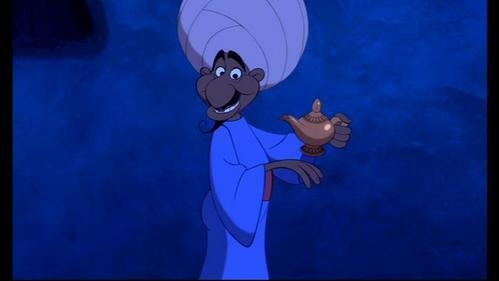 a comment was made to the poll: Do te prefer Jafar o Aladdin? FILL IN THE BLANKS: "Perhaps te would like to hear the tale? It begins on a _______ night, where a _______ man waits, with a _______ purpose." ciao Aladdin Fans! Come check this out!